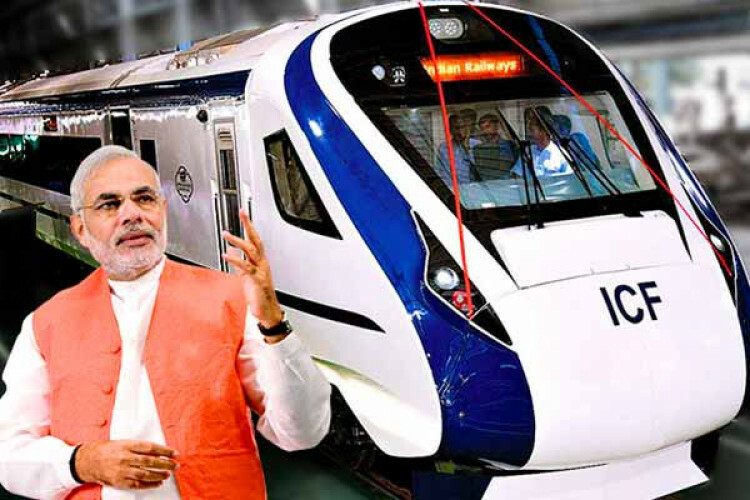 India's Fastest Train was earlier known as Train 18, is now named as Vande Bharat Express; is all set to get flagged off by PM Modi on Feb 15. The indigenously built16 coach train will replace the Shatabdi Express & will run from Delhi to Varanasi. The train 18's prices have been reduced from Rs.1850 to Rs.1760 for chair car and Rs. 3310 instead of Rs.3520 for executive class. The return journey costs too have been reduced.